It took me ages to get up the nerve to go freelance all those years ago when I set up as a genealogist. I’m rubbish at maths, how would I cope with a tax form? Would anyone buy my services? The internet was still newish (this was 2001), would anyone find me? Would it get in the way of family life when I had no childcare provision? There were loads of questions overloading my brain, all of them picking away at my confidence. They were also giving me an easy way out. It was just too difficult. Scratch that… it was just too scary! Well… eventually I closed my eyes, took a deep breath and took the leap. A tax form isn’t that bad if you keep all your receipts and make note of everything. There are even dedicated small business tax people to help you through the process (mine were a Godsend). Yes, people would buy my services. They needed help, I could solve their problems. Yes, people would find me… I built a website and advertised in magazines. I attracted my first clients from as far afield as the USA, Canada and Australia as well as a few miles down the road. Yes, I could afford it. I worked within my budget (which was tiny). No it didn’t get in the way of childcare, I worked when I could and things got easier once the school years arrived. So all my fears were unfounded. The unknown is scary when it stares you in the face, but sometimes you just have to give it a good kick and blow raspberries. Have a great idea. It could be thought out and planned or it could be a bright flash. The planning can always come later. But it has to get you excited. Have confidence. Don’t listen to those little niggles. If you know your subject and know you can do it, don’t listen to your negative side. Be confident in your abilities. Confidence is key. It’s too easy to talk yourself out of something – no-one got anywhere without being a little scared. Education. Make sure you know what you need to know. Formal education such as diploma or degree courses will give you the theory. Informal education such as hands-on experience can give you the practice. Self-taught education such as burying yourself in all the books you can find, and devouring their knowledge, can add to what you know and give you a different perspective. Just make sure you have the knowledge in place. Contacts. These will help a lot. From old work colleagues to social networking and family and friends, your contacts can help you get out there. Use them, but let them use you too. It’s more difficult, but not impossible, to get anywhere on your own, even just understanding family can ease the transition to freelance working. Money. Whether you have a fiver or five thousand, at some point you will need money to get by before you start earning. Don’t despair, there are grants to be had and loans can be arranged, just make sure you read the small print and don’t go beyond your means. You’ll need equipment and perhaps training to start, plus it’s wise to have some savings behind you if you are going to be the sole earner. And of course you need some set aside for feel-good treats, such as a bottle of wine after a hard week setting up your business. 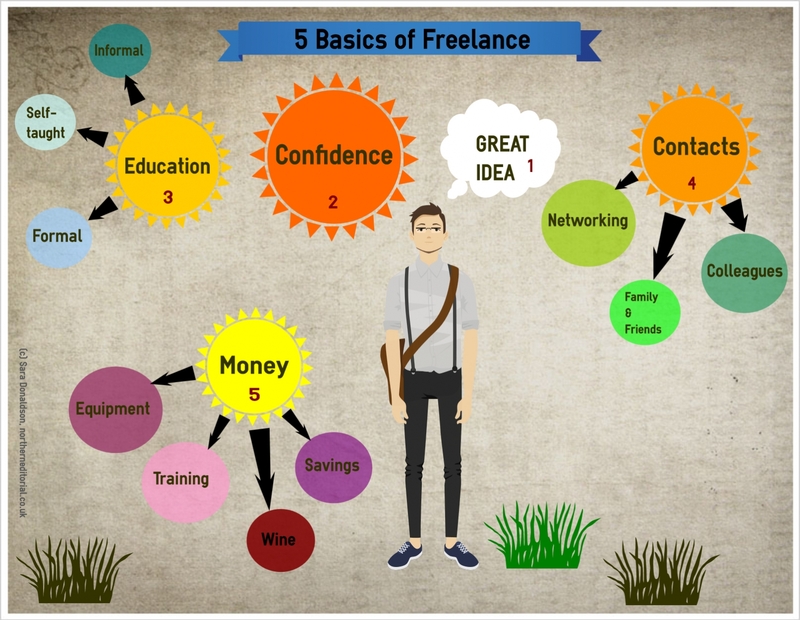 So there are my five basics of freelance, I’m sure you’ll come up with more. The important thing is, fear can be crippling. It can stop you doing foolish things, which is good, but it can also stop you from making a real change and doing something that can be hugely satisfying. Feel the fear, but don’t let it rule your life. I won’t pretend it’s easy Izzy… but it’s less scary than you think. 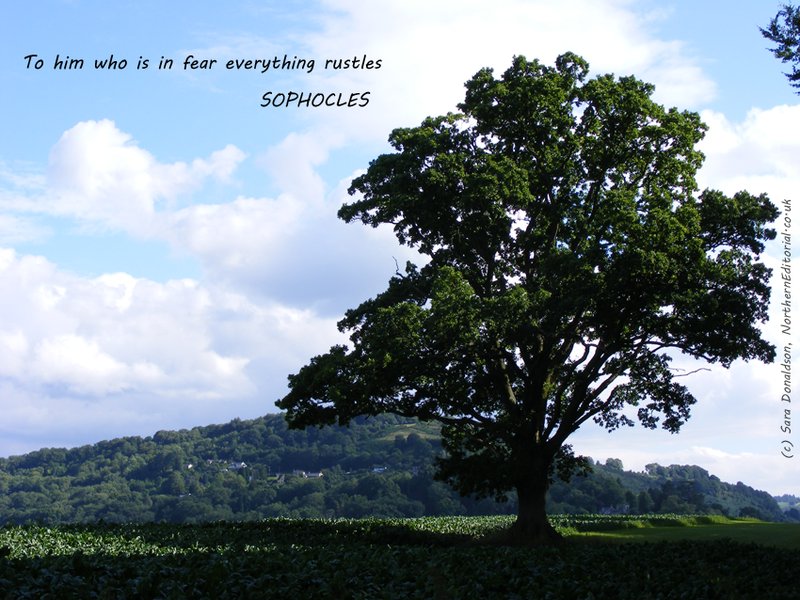 Getting over the fear of the unknown is the first hurdle. You mentioned great 5 points, thank you!